Spike TV is bringing the astounding saga of one of history's most extraordinary rulers, Tutankhamun (King Tut), to television in a new landmark six-hour scripted event series. Tut reveals, for the first time on television, the story of the Egyptian Pharaoh, one of the most renowned leaders in human history. This ambitious special-event series tells the story of Tut's rise to power and his struggle to lead Egypt to glory, while his closest advisers, friends and lovers scheme for their own nefarious interests. Tut opens up a fascinating window into a world filled with heart-breaking romance, epic battles, political backstabbing, conspiracy, jealousy, and even murder -- proving his world was not far removed from our own -- and that his reign as the youngest Egyptian king played out as a real-life drama for the ages. This will be Spike TV's first scripted event series in eight years and is another step in the network's move to reaching a more gender-balanced audience. Here's what Spike TV's Sharon Levy had to say about the series in a statement. "We are thrilled to join forces with MUSE Entertainment and this incredible writing team to bring the amazing story of one of history's legendary leaders to life. Tut is the perfect addition to our slate of distinctive originals that appeal to a broad audience." 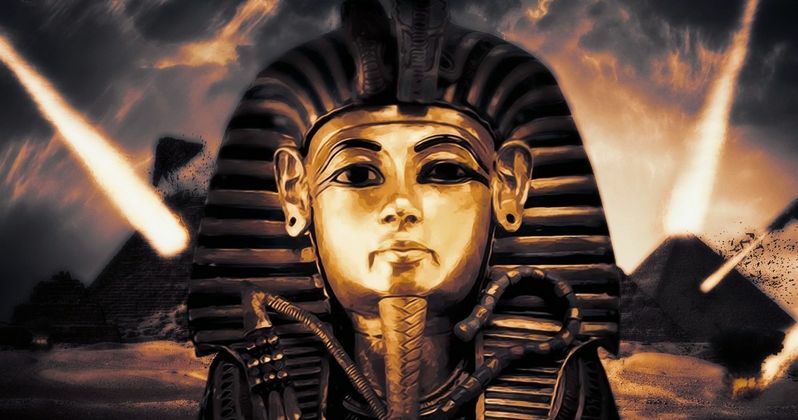 Tut will be shot entirely on location in Morocco and Canada this fall and will debut on the network in 2015. Tut will be produced for Spike TV by MUSE Entertainment (The Kennedys, Being Human, The Pillars of the Earth, Bomb Girls) with Joel S. Rice and Michael Prupas from Muse. The project is executive produced by Greg Gugliotta (The Fosters), Michael Vickerman (Impact), Elice Island Entertainment's Jeremy Elice, and Angela Mancuso (Spartacus, Helen of Troy), and written by Michael Vickerman along with Peter Paige & Brad Bredeweg (The Fosters). Sharon Levy, Executive Vice President, Original Series, Spike TV will also serve as an Executive Producer. Irene Litinsky (Being Human) serves as a producer. Join the conversation about the show by following @SPIKETV on Twitter or by visiting Spike.com's dedicated Tut destination, Spike.com/Shows/Tut. For additional series updates, follow Spike on Facebook and on Instagram.